Get Ready To Collapse While Watching “127 Hours"
Are you a fan of Danny Boyle and "Slumdog Millionaire?" Then, you'll surely be excited to watch "127 Hours" which is incidentally vying for Best Picture, Best Actor (James Franco) and Best Screenplay (Danny Boyle and Simon Beaufoy)in the Oscars. "127 Hours" tells of the remarkable adventure of real-life mountaineeer Aaron Ralston who's played by James Franco (of "Eat, Pray, Love" and "Spider-Man"). For those who are not familiar with Ralston's story, he was the mountaineer who gained the public's attention after amputating his lower right arm with a dull knife in May 2003 to free himself from a boulder which trapped him in a canyon. The amputation scene was said to be so realistic that some viewers literally fainted and collapsed in their seats. Danny Boyle based his screenplay from Ralston's bestselling memoir, "Between a Rock and a Hard Place." After reading the book, he immediately wanted to bring the audience to the canyon where Ralston overcame the greatest challenge in his mountaineering life. Moreover, he wants the audience be inspired of Ralston's journey. He wants moviegoers to realize that Ralston wasn't really alone in the canyon during his entrapment. Spiritually, he was surrounded by family, friends, lovers, and acquaintances who he met before the accident. Remembering them throughout his ordeal gave him the courage to keep going. Aside from being recognized by the Academy Awards, "127 Hours" received favorable reviews from movie critics. Rotten Tomatoes gave it a 94% positive review while Metacritic gave it 82%. So, are you ready to collapse? 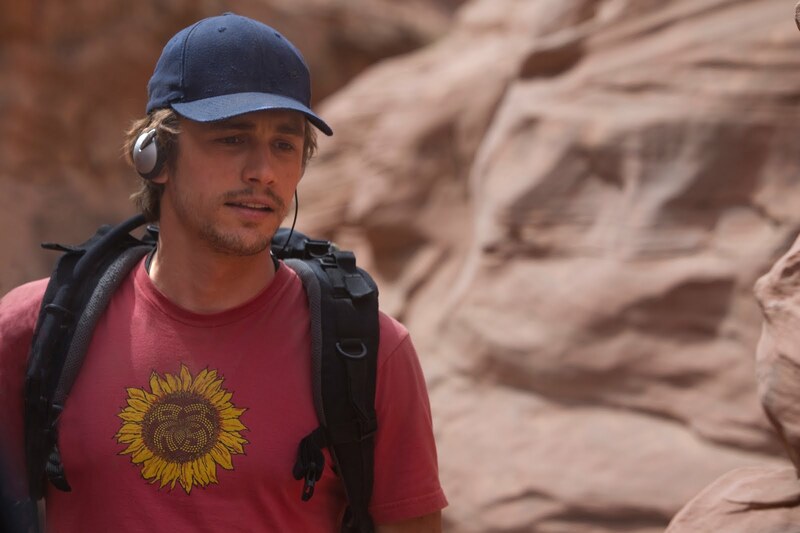 “127 Hours” opens February 9 in theaters from 20th Century Fox to be distributed by Warner Bros.